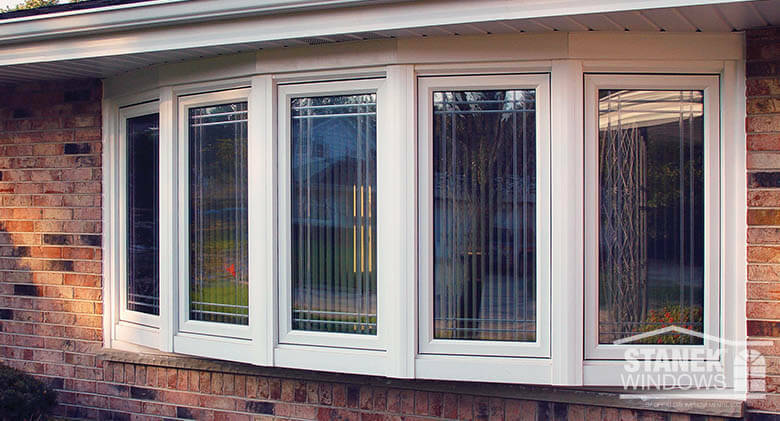 Did you know that there are many different types, styles and customizable options for replacement windows? 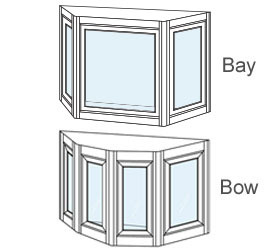 Bow or bay, double-hung or sliding, awning or casement? The choices can be dizzying! Discover the many available window styles and choose which option will work best for your personal design preferences and the architecture of your home. Learn more from this infographic that illustrates the different options for replacement windows. Double-hung windows are the most traditional window style available. They are also the most popular. Best suited for window openings where the height is greater than the width, they are ideal choices for walls next to patios, decks & walkways. 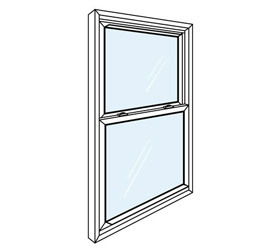 Cleaning is a breeze with double-hung windows, as both sashes easily open fully and tilt inward. Sliding, or gliding, windows boast slim vertical lines for a clean, elegant look - a welcome addition for any architectural style. 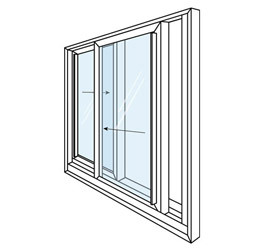 Ideal for window openings where the width is greater than the height, sliding replacement windows are a great choice for walls near a deck or walkway. Customize your windows in either two- or three-lite configurations. Either option offers reinforced sashes that glide smoothly and have a tilt-in feature for ease of cleaning. Awning and casement windows have clean, simple lines that complement the architecture of modern homes well and can update the look of traditional homes. 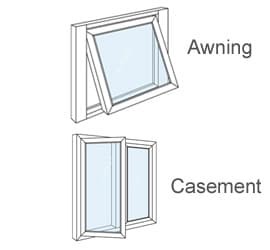 Awning windows work best in openings where the width is greater than the height, and casement windows are best suited for openings where the height is larger than the width. Both types of windows crank outward for ease of opening and cleaning, making them a perfect solution for the space above your kitchen sink. Custom shape windows are fixed windows, often referred to as picture windows. They are the perfect solution for openings with an abundance of natural light and hard-to-reach spaces where the windows do not need to open. 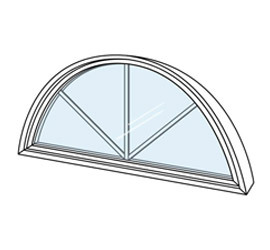 Stanek decorative windows are available in 25 specialty window shapes. The infographic above illustrates how each of these window styles might look in your home. Envision your updated space. Once you have chosen the types of windows you want for your home, it’s time to customize them! Want truly unique windows? Choose from an array of interior and exterior colors, hardware, and more. The only limit to your new vinyl replacement windows is your imagination. Stanek brand vinyl replacement windows are made using FIBERMAX®, a composite uPVC structural reinforcement, for optimum long-term performance. Choose from a variety of colors to match your home perfectly. Stanek® windows are available in six standard interior colors, including four vinyl woodgrain options and eight standard exterior colors. Do you need a unique color to match your home’s exterior? Stanek® can match any color swatch and create your perfect custom color. Our high-performance colors and finishes are specifically engineered to last and keep your windows looking new for years to come. The long-lasting color is fade resistant, easily cleaned with soap and water, and has strong surface adherence to resist scratches and scrapes. Vinyl woodgrain interiors offer the look of real wood windows without all of the maintenance. 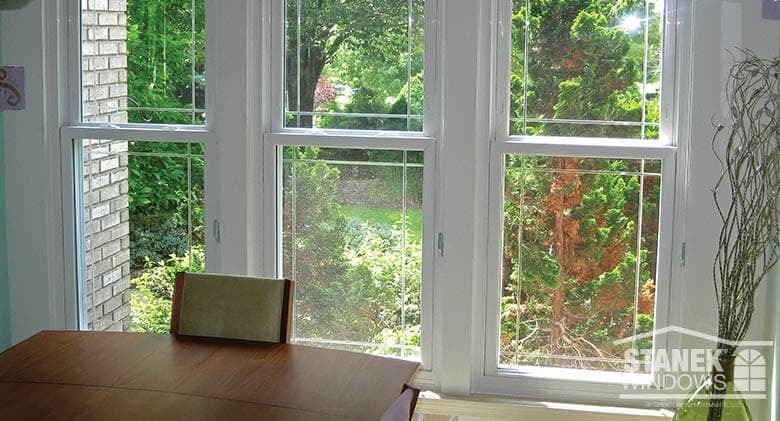 While real wood windows are beautiful, they’re susceptible to the elements and need regular upkeep. Vinyl woodgrain interiors are maintenance-free and won’t rot, splinter or crack like real wood. 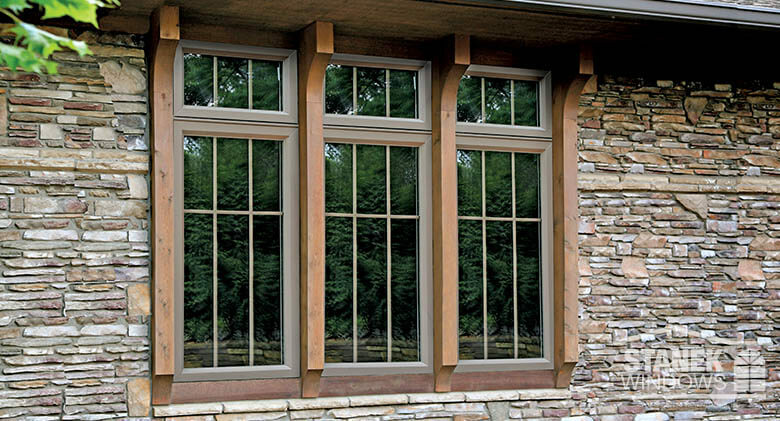 Complement the look of your vinyl woodgrain windows with custom interior wood trim in cherry, oak, pine or poplar. Glass is the most important choice for your windows, because the type of glass in a window affects the flow of heat in and out of your home, the amount of light that comes through the window and the amount of noise in your home. 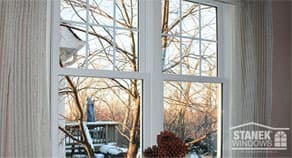 Stanek® Windows offer some of the most energy-efficient glass on the market to maximize your comfort and lower your heating and cooling costs. Select hardware finishes that complement your interior décor and personal preference. Leave a distinct impression on your guests with a sophisticated window and elegant hardware. Stanek® Windows offers several hardware finishes to complement your interior décor. From handles to locks and levers, we have you covered. Check out our interactive color selector. 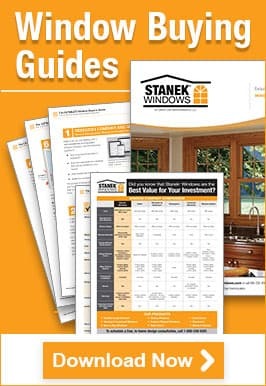 If you’re ready to purchase premium vinyl replacement windows or doors for your home, schedule your free, in-home estimate with Stanek® Windows today. Not ready to schedule? Download our helpful guide to learn more.